Mr. Greene has been a Council Member since 2007 also serving as Tribal Chairman in 2013 and 2016. He is currently the Director of the Warm Springs Recreation Department. He has worked in the recreation field as human service provider for Warm Springs since completing high school. Beginning as an entry level activity aide, moving up to a fitness coordinator and has been the Recreation Supervisor since 1997. He has also worked many years in public relations, through his job as well as social and community related activities which have included working with youth and families through the Recreation program and the Tribe’s Community Wellness Center. 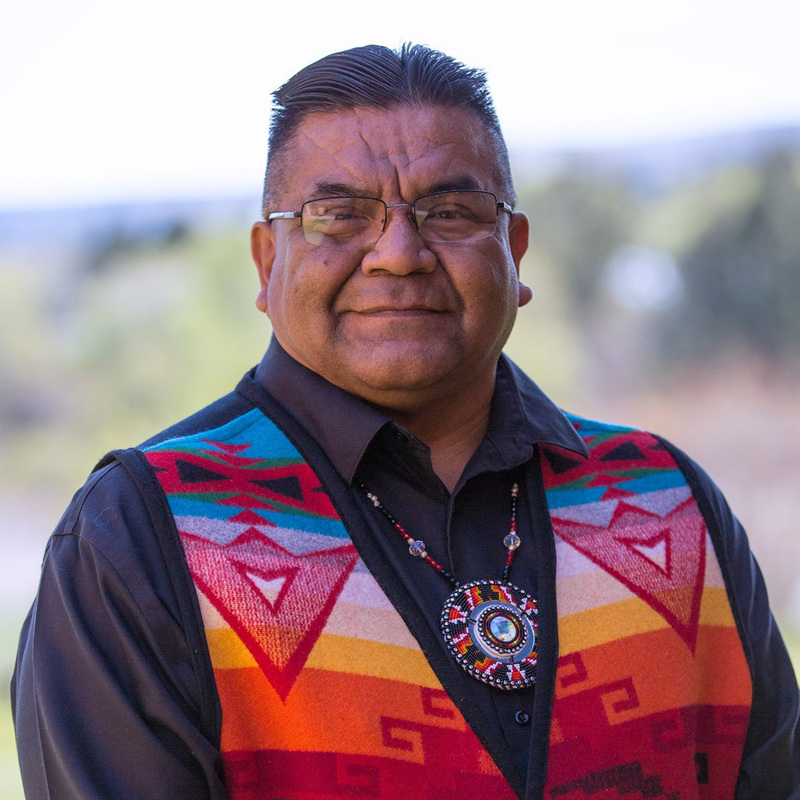 He also gained knowledge by serving on the Intertribal Timber Committee, Intertribal Agriculture Council, and Oregon 9 Tribes Meth Task Force Working Group, in which he utilizes his position to serve his people. Within all of his roles, working with the youth has definitely been a highlight. Mr. Greene is Mustalik, but his Shiapo name is Eugene Austin Greene Jr. He has served three terms on Tribal Council, and is in his fourth term serving as a Tribal Council representative for the Agency District. Mr. Greene is thankful for the people and their trust and confidence in him. He uses his years of experience in serving and working with the people to help him recognize how important his role is and this has guided him to continue to service his district well. His values are rooted from his childhood when he paid attention to his father, Eugene Greene Sr., who also served on Tribal Council. Eugene Greene Sr. had years of experience working with the Warm Springs people and also holding the Tribal Council Chair seat. Mr. Greene gained valuable knowledge through those experiences with his father, as well as his respect for the wisdom of his elders. He took time to listen and learn from elders on what is important to his people. He knows and understands the historic and guiding organic documents, which guides the people and how they drive the Council. He also understands how decisions made by Tribal Council affect his people now and for future generations. He believes it is important that people remember who they are. Not only their role in the business world but keeping a robust culture and traditions of the people which plays a strong role in the Tribe’s sovereignty. Mr. Greene is a very humble individual, but prides himself on his understanding of his people, their needs, and how history plays into the important decisions made today for the future. He is attuned to good communications with people and still carries the belief that the Tribes have to continue with needed district meetings and General Council to keep the people informed and getting his people’s input. It is important to Mr. Greene to be able to report to tribal membership on how the Tribes are doing as a whole, and how the enterprises are performing and the effect of such on the people; thus believing that reporting to the people is a responsibility of each individual Council member to their people. He looks now and into the future with his people’s health, education, and the importance of his youth and elders in his mind and heart.